This is the same Sis. Mary-Ann Bongo whose amazing testimony about their near-plane crash I had written a while back. This miracle happened long before she went to the Middle East to work. Do you doubt the power of God? If you do, then you also doubt His Word. But God is all-powerful, ever-living God! Or, do you believe in Him and in His Word but do not believe that He will show His miracles, wonders and mighty deeds to you? It’s my prayer that this testimony will penetrate your doubtful heart and strengthen your faith. In 1996, Sis. Mary-Ann was traveling by bus in the southern part of the Philippines. She was seated at the back of the driver with her holy Bible on her lap. Not too far away, they noticed a checkpoint with men in some kind of a military uniform manning it. When they reached the checkpoint, the driver stopped the bus. One of those men manning the checkpoint went up the bus, took out a .45 caliber gun from his side and pointed it at the driver. The passengers began to panic, and even Sis. Mary-Ann was momentarily shocked when she saw the gun pointed at the driver just in front of her. The man identified himself, informing everyone that he’s not from the military but a commander of the rebel group New People’s Army (NPA). Suddenly, the man transferred his attention to Sis. Mary-Ann, pointing the gun towards her instead. Sis. Mary-Ann panicked and began to tremble in fear. The commander ordered Sis. Mary-Ann to get down the bus. Sis. Mary-Ann couldn’t do anything but do as she was told. They got down the bus, she and the NPA commander. When Sis. Mary-Ann reached the ground, she felt so weak she fell to her knees. At that moment, she remembered the teachings of the beloved Hon. Pastor Wilde E. Almeda that in times of great danger, there is no other name that you can call onto but the name of the Lord Jesus Christ! While Sis. Mary-Ann was on her knees, the NPA commander fired the gun in the air making sure it works. Sis. Mary-Ann was so afraid she began to pray, asking the Lord for forgiveness. The other passengers inside the bus couldn’t do anything. The four other armed men were in the bus guarding them. When Sis. Mary-Ann heard the gunshot, she bravely faced the man, strengthened now by her prayer, she boldly challenged him, “If your gun will fire at me and I will be killed, the God that I serve in Jesus Miracle Crusade International Ministry is not a true, powerful, living God! But if not, know that the God I serve is ALIVE! The man pointed the gun at her head and fired it but it did not fire. It just clicked. Nothing happened. He did it again and again but to no avail, the gun wasn’t firing. The NPA commander was enraged he called his four companions from the bus. Sis. Mary-Ann continued to pray. The other men surrounded her. Then the commander said, “If this .45-caliber gun didn’t work, these four M-16s definitely will!” The commander challenged her back contemptuously, “Prove to me now how powerful your God is!” His men got ready and aimed their M-16 rifles toward her. Sis. Mary-Ann hadn’t lost her presence of mind. Before they could fire their rifles, she shouted and rebuked with all her strength, “In the name of Jesus, all your rifles will not fire!” They attempted to fire their rifles at her many times but not a single one did. After the NPA rebels left, the other passengers got down the bus and surrounded Sis. Mary-Ann, some were hugging her, thankful that she was alive. They said that at first, they couldn’t believe that she would be saved, but when they saw the miracle right before their eyes, they believed without a doubt that Sis. Mary-Ann was serving the one true, living God in Jesus Miracle Crusade International Ministry. 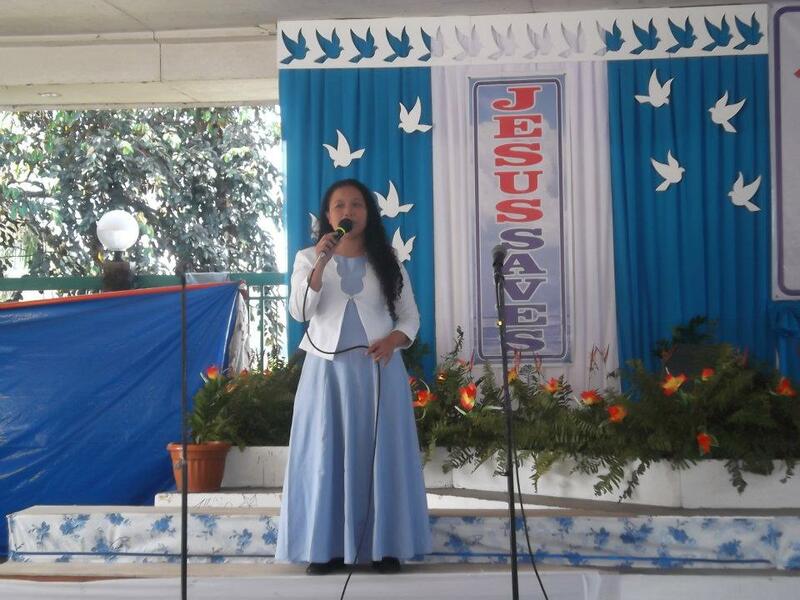 For more amazing testimonies, please visit http://www.jmcim.org. May God bless you abundantly! ← Healed of Cerebral Palsy, Etc. is great powerful and alive….